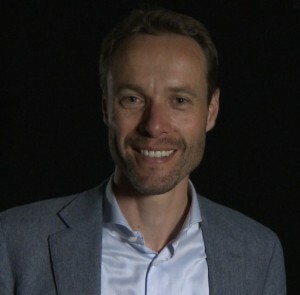 Erik Stam is Full Professor at the Utrecht University School of Economics, where he holds the chair of Entrepreneurship and Innovation. Next to this he has been co-founder and Academic Director of the Utrecht Center for Entrepreneurship and leader of the research area Innovation and Welfare of the Utrecht University Strategic Research Theme Institutions. He held positions at Erasmus University Rotterdam, the University of Cambridge, the Max Planck Institute of Economics (Jena, Germany), and the Netherlands Scientific Council for Government Policy (WRR). In 2007 he was awarded the Herbert Simon Prize of the European Association for Evolutionary Political Economy. He is currently associate editor of Small Business Economics. His research focuses on institutions, entrepreneurship, innovation and the relationships with economic development at the micro and macro levels. He has (co-)authored seven books (including Micro-Foundations for Innovation Policy and Ambitious Entrepreneurship) and over eighty book chapters and articles in journals like Economic Geography, Industrial and Corporate Change, Journal of Evolutionary Economics, Regional Studies, and Small Business Economics. Next to his scientific work he is often consulted by local, regional, national (Netherlands, Belgium, UK, US) and supra-national (World Bank, OECD, EU) policy makers and private sector organizations on innovation and entrepreneurship. Stam, E. (2013) Knowledge and Entrepreneurial Employees: A Country Level Analysis. Small Business Economics 41.4: 887-898. Thurik, R., Stam, E. & Audretsch, D. (2013) The Rise of the Entrepreneurial Economy and the Future of Dynamic Capitalism. Technovation 33.8-9: 302-310. Stam, E., Hartog, C., Van Stel, A. & Thurik, R. (2011) Ambitious Entrepreneurship and Macro-Economic growth. In: Minniti, M. (ed.) The Dynamics of Entrepreneurship. Evidence from the Global Entrepreneurship Monitor Data. Oxford: Oxford University Press. pp. 231-249. Stam, E. & Nooteboom, B. (2011) Entrepreneurship, Innovation and Institutions. In: Audretsch, D., Falck, O. & Heblich, S. (eds) Handbook of Research on Innovation and Entrepreneurship. Cheltenham: Edward Elgar. pp. 421-438. Nooteboom, B. & Stam, E. (2008) Micro-Foundations for Innovation Policy. Amsterdam / Chicago: Amsterdam University Press / Chicago University Press.